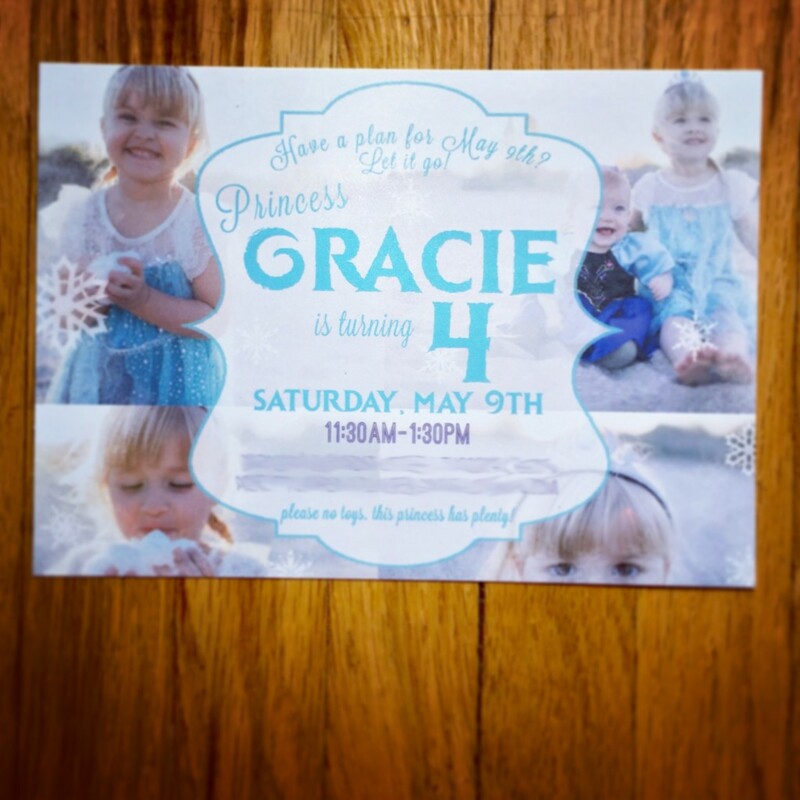 I’ve had the pleasure of designing little miss Princess Gracie’s 1st, 2nd and now 4th birthday invitations (her 3rd birthday was celebrated in Disneyland as a typical princess should…). I’m such a proud Auntie to see this little girl grow. She is full of sass and so much fun!! Of course, for her 4th birthday, Princess Gracie insisted on a Frozen themed party. Because what little girl doesn’t? Happy birthday, Gracie!